Looking for a great backpacking tent? Itching for your next adventure? We get it. Backpacking offers the opportunity to enjoy the wilderness without the hustle and bustle of a campground. The thing is...it can be hard to know where to start when choosing the right tent for your needs. But fortunately, we have done the research and narrowed the pack down to the six best backpacking tents for 2019. Before we launch into our picks, here are the things to keep in mind when choosing the best tent for your adventures. 1.1 How Much Should a Backpacking Tent Weigh? 1.2 What Materials Are Backpacking Tents Made Out of? 1.4 How Big is a Two Person Tent? 1.5 What is a 3-Season Tent? 1.6 What is a 4-Season Tent? 1.7 What is a Freestanding Tent? When considering a backpacking tent that best meets your needs, you will want to look at factors like the tent’s weight, what it is made of, its capacity, the temperatures and conditions it can handle and whether or not it is freestanding. Your aim is to strike a balance with the features that you seek with a weight that is reasonable to carry. How Much Should a Backpacking Tent Weigh? You can expect a three season, two-person tent to weigh between 3 and 5.5 pounds, while a four season, two-person tent will weigh between 4.5 and 9 pounds. When looking at tent specifications, you will often see two numbers: minimum trail weight and packed weight. Minimum trail weight is the total weight for the tent body, rainfly and poles. This does not include a footprint or tent stakes. The packed weight includes everything that comes with the tent when you buy it, like the stakes, stuff sack, pole sack and instructions. The ﻿﻿weight you will be carrying when backp﻿﻿acking will be somewhere between the two. What Materials Are Backpacking Tents Made Out of? A variety of specialized nylons and polyesters are used in backpacking tents, to include coated polyester, coated nylon and dyneema (formerly called cuben fiber). Dyneema is waterproof and is the lightest and strongest of the three options, however it is significantly more expensive than nylon and polyester. In general, nylon is stronger than polyester and both require a coating in order to be waterproof. The term “denier” is a measurement that is used to identify the fiber thickness of the individual threads in cloth. When you see denier (D) in the specifications for a backpacking tent, it is measuring the fabric yarn’s weight (in grams). The higher the denier, the more durable the fabric, while the lower the denier, the lighter the weight of the material. The poles in backpacking tents are low in weight, yet very strong. Dongah Aluminum Corp (DAC) is the predominant maker of tent poles. When looking for the strongest tents, seek top-grade poles in a hubbed pole set. There is a range of space available in both one and two person tents. A one-person tent will provide anywhere between 15-25 square feet of total floor space. A two-person tent will provide more total floor space, though it will likely be less per person. Regardless of whether the tent is one or two-person, the fit will be snug, which keeps the weight low. Ultralight tents will be particularly snug in order to further reduce weight. In addition to floor space, you will want to keep vestibule space in mind. The vestibule is outside the tent body and can be used to store gear. How Big is a Two Person Tent? A two-person tent will provide anywhere from 13 to 18 square feet of floor space per person (26-36 square feet of total floor space). What is a 3-Season Tent? A 3-season tent is a lightweight shelter that is made for the relatively mild conditions you would encounter during spring, summer and fall. These tents have a tight rainfly and can handle rain and light snow, though they are not ideal for heavy winds, significant snow or large downpours. Tents will typically have mesh panels that will allow for increased airflow while keeping the bugs from getting in. The walls in these tents tend to be more upright, offering more headroom. In order for the weight to be low, three season tents have fewer poles and are made of lighter fabrics. What is a 4-Season Tent? 4-season tents are made to stand up to harsh winds and heavy snow. These tents will have less ventilation than the 3-season tents, which means they may feel stuffy in mild conditions. A 4-season tent will include fewer mesh panels and will often come in a rounded dome shape design that will allow it to handle high winds. The lack of flat roof space will limit the amount of snow that can settle on top of the tent. These tents will include more poles and heavier fabrics, increasing their durability. With specially designed tent poles to hold them up, freestanding tents are able to be picked up and moved once they are set up. Plastic hooks will connect the tent to the poles and a rain fly will be placed over the poles and connected to the corners of the tent. While you will want to use a few stakes to ensure your tent does not blow away, stakes are not necessary in the set up. Next, we will take a look at 6 top rated backpacking tents, reviewing their features to help you make the best choice for your upcoming adventures. 90 x 52 x 42"
39 x 50 x 84"
83 x 42 x 50"
87 x 52 x 38"
87 x 40 x 31"
36 x 30 x 85"
As we begin looking for the best in show for 2019, we come across the Copper Spur Backpacking Tent by Big Agnes, a two-person tent offering 29 square feet of floor space. This tent by Big Agnes offers enough space to rest comfortably without adding a lot of weight; the trail weight is 2 pounds 13 ounces and the packed weight is 3 pounds 2 ounces. To further reduce the weight you pack, there is a Fast Fly option at 2 pounds and 1 ounce (includes poles, fly and footprint accessory). Also available in a three and four-person version, this freestanding tent has a 10D nylon ripstop floor. The two doors make it easy for two to enter and exit the tent and the DAC Featherlite pole system delivers a head height of 42 inches, helping make this backpacking tent feel spacious. The ability to store your gear in two good-sized vestibules also helps ensure you have more room to spread out. 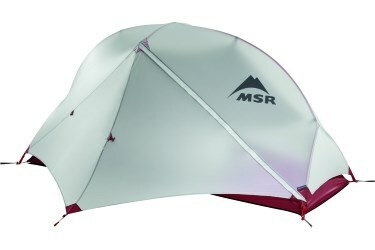 Next up: the MSR Hubba Hubba NX 2-Person tent. The color coded hub and pole system make this tent easy to set up. Offering 29 square feet of floor space, this tent has a minimum trail weight of 3 pounds 7 ounces and a packed weight of 3 pounds 13 ounces, making it slightly heavier than the Copper Spur by Big Agnes. Accounting for some of the extra weight is the tent floor material, which is a 30D ripstop nylon. making it a more rugged option than the Copper Spur. 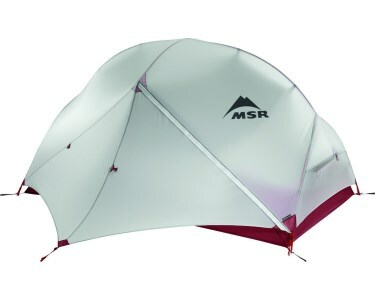 This backpacking tent by MSR has two StayDry ™ doors with built in rain gutters that are designed to keep water from getting inside the tent when they are open. Two large vestibules provide the space you need to store your gear. The heaviest of the options so far is the Kelty TN 2 Person Tent, having a minimum trail weight of 4 pounds 4 ounces and a packed weight of 4 pounds 13 ounces. Offering 27.5 square feet of floor space. 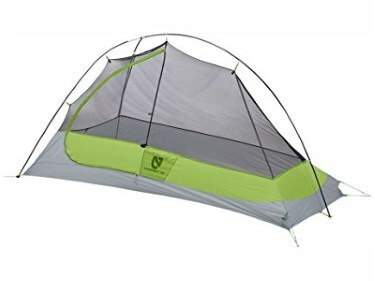 This two person tent by Kelty has two doors, making it easy for two people to get in and out of the tent. With a height of 42 inches and two vestibules to store gear, the tent will offer sufficient room after a long day of adventure. 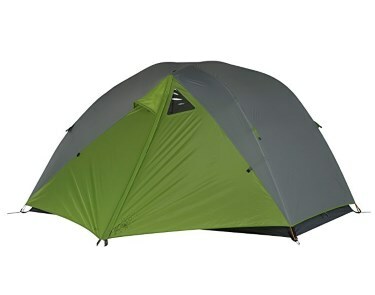 This tent by Kelty is easy to set up with snap-clip technology and color coded clip construction. With a tent floor made of 70D Nylon and a fly made of 40D Nylon, this tent is the sturdiest of the options reviewed so far. When considering the best backpacking tents, we wanted to take a look at a four season option. The Hilleberg Nammatj 2 Person Tent is a four season tent with a minimum weight of five pounds and one ounce and a packed weight of six pounds nine ounces. While this is the heaviest option we are looking at, it is also the most durable, boasting a tent floor made of 100D fabric. This tent will perform well during a high altitude alpine adventure with heavy snow and wind, yet will also fit the bill for mild conditions. The outer tent walls of the Nammatj 2 Person tent extend to the ground and the mesh areas of the tent are backed with fabric panels that can be adjusted, ensuring versatility for the weather conditions you encounter. The tent includes a vestibule for gear storage. When considering solo tents, the Nemo Hornet 1P Ultralight Backpacking Tent is one to keep in mind. With 21 square feet of floor space, this tent by Nemo provides you room to stretch out after a full day and the 40-inch height means you won’t feel cramped. A minimum weight of one pound, 11 ounces and a packed weight of two pounds make this tent one of the lightest options on the market. A large vestibule is available to store your gear. A large side door will make it easy to get in and out of the tent as well as access gear stored in the vestibule. Setting this freestanding tent up is quick and easy with hubbed pole intersections that make a single pole. Speaking in regards to the best trekking tents for 2019, the MSR Hubba NX 1 person tent is worth a look. With 18 square feet of floor space, this tent weighs a minimum of 2 pounds and 7 ounces; to further lighten your load you can choose the Fast and Light option, which includes the rainfly, poles and a footprint, for a total way of 1 pound and 10 ounces. A color-coded pole system makes this solo tent by MSR easy to set up and take down and the pole configuration allows for 36 inches of headroom. This dome shaped tent has one large StayDry door with a built in rain gutter that is designed to keep water from getting into your tent. A large vestibule to the side of the tent offers a place where you can store your gear, leaving the floor space for you to stretch out. Our choice for the best backpacking tent for 2019 is the MSR Hubba Hubba NX 2-Person Tent. 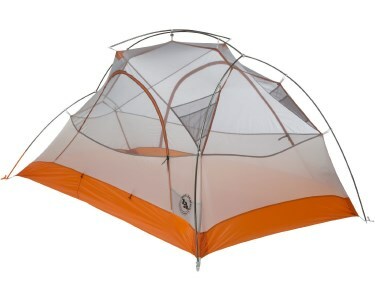 Key in our decision is that this tent offers an excellent balance between weight and durability. 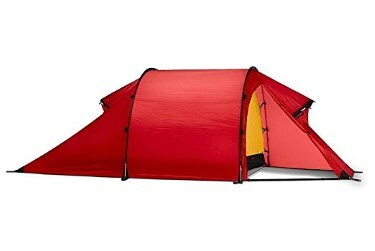 While it is not the lightest tent available, with a minimum trail weight of 3 pounds and 7 ounces it is a reasonable weight for a two person tent. And some of those additional ounces are due to the 30D ripstop nylon tent floor that leads to the tent's durability. With 29 square feet of floor space and two large vestibules, you won't feel cramped when retiring for the night. Features like the two StayDry doors with built in rain gutters deliver additional value and comfort, making the MSR Hubba Hubba NX 2-person tent an excellent choice for your future adventures.